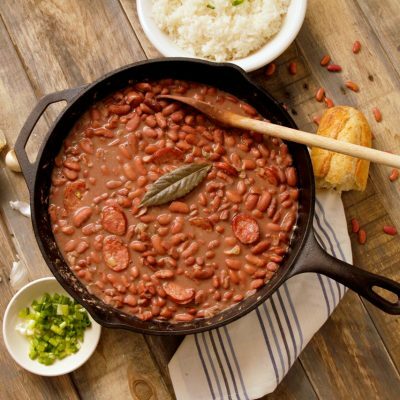 Red Beans & Rice is an iconic New Orleans dish that’s talked about, debated, cooked, and beloved across the southern United States. And just like other traditional rice and bean dishes that prevail throughout North and South America, it inspires tremendous local pride and is a key component of our cultural identity. 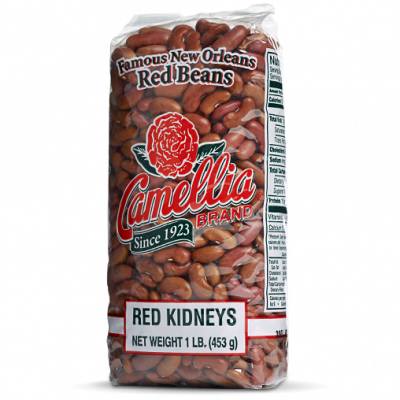 In ancient Mexico, the Olmec, Maya, Toltec, and Teotihuacan peoples, and eventually the Aztecs, grew kidney beans. The beans were originally grown alongside corn and squash; beans were trained to climb the stalks of corn. The agricultural trifecta provided much-needed nitrogen to replenish the soil and a well-rounded diet to its eaters. The three moved together upward into the Caribbean and throughout the North American mainland. On November 4, 1492 Christopher Columbus “discovered” the kidney bean on the island of Cuba, writing in his diary, “The country is very fertile . . . They have beans of kinds very different from ours.” He called these American beans fabas, because they reminded him of favas of Western Europe, and the Latin name stuck: phaseolus. The American beans were taken back to Europe and adopted into local foodways centuries before tomatoes, peppers, corn, and potatoes. According to Beans: A History, kidneys were largely deemed peasant food for centuries, a history revealed by its eventual Latin designation, Phaseolus vulgaris, aka the vulgar, or ‘common’ bean. Kidneys buttressed and amplified stewy dishes throughout early modern Europe. 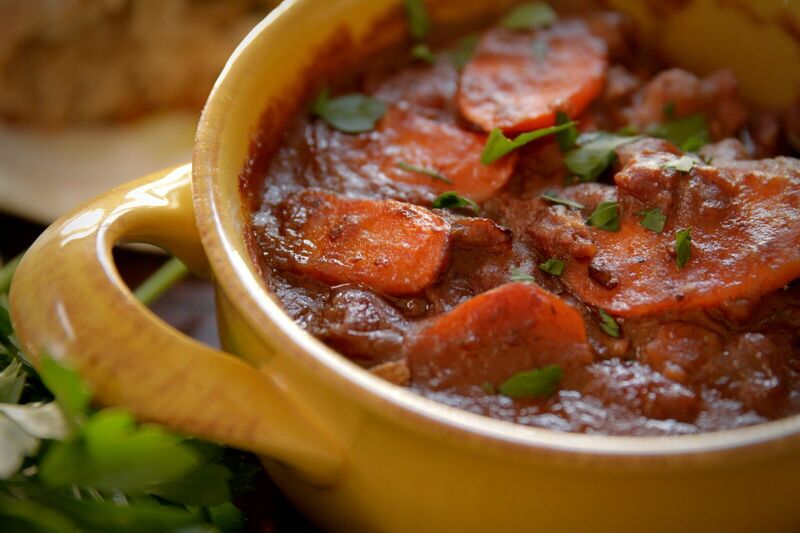 Like in Glandoulat, a southwestern French dish in which red kidney beans join pork, carrots, spices, Armagnac, and goose fat. The classic combination of rice and beans, or some starchy substitute, has long been equated with sustaining life. 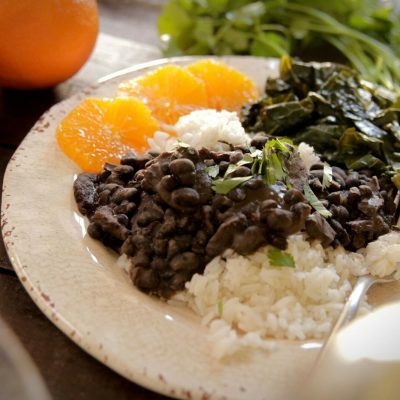 “Rice is god,” a Hindu proverb says, “but lentils are my life.” In many corners of the world, rice and beans, peas, or lentils are often paired — the Japanese celebrate certain holidays with a bowl of white glutinous rice and red adzuki beans. 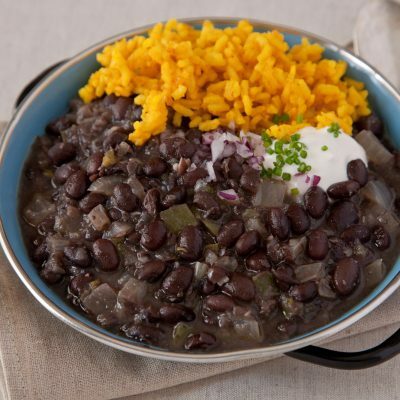 But nowhere are beans and rice more prominent than in the Americas, both North and South, where the pairing of grain and legume is often the unofficial national dish. 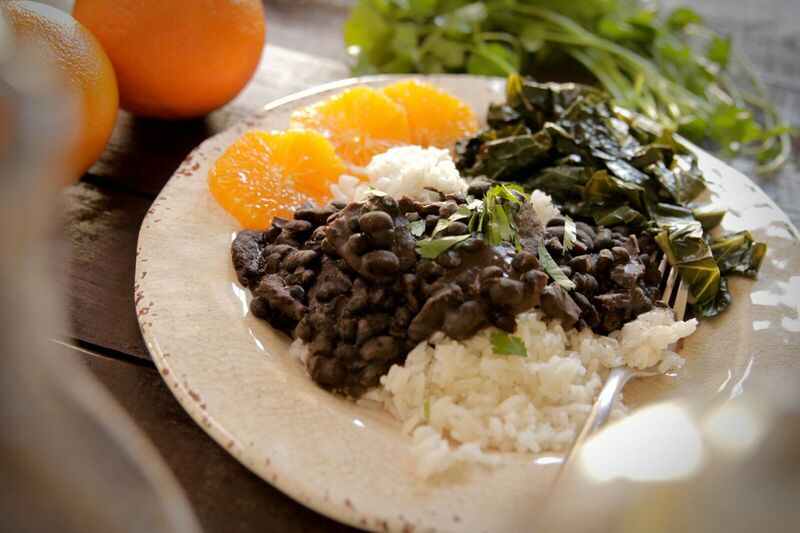 In Brazil, the unofficial national dish is Feijoada, a stew of black beans and salted pork commonly served alongside a heaping of rice. 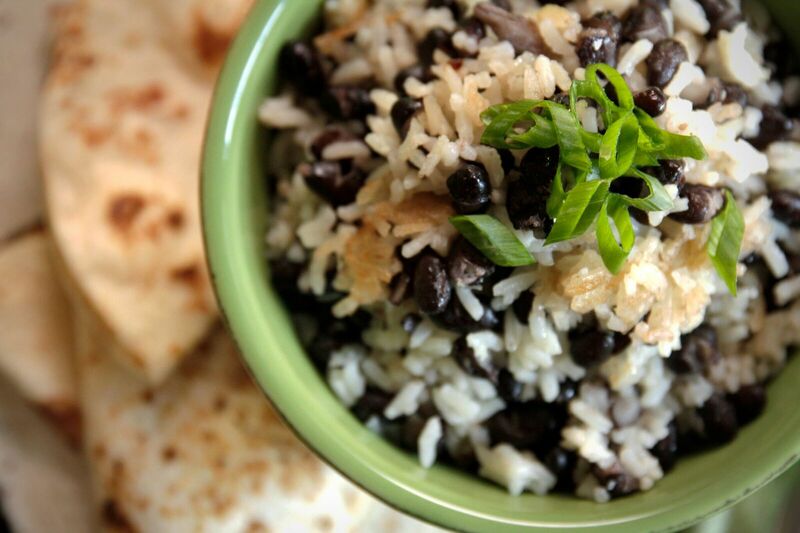 In Cuba, they eat Moros y Cristianos, ‘Moors and Christians,’ a name given for the combination of black beans (Moros/dark) and rice (Christians/white), as well as Frijoles Negros, where the black beans are served on top of, or alongside rice. 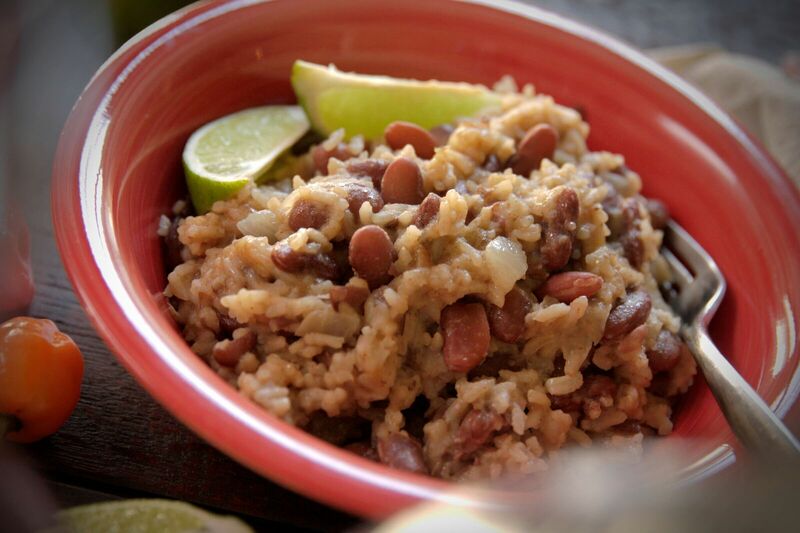 According to Rice and Beans, A Unique Dish in a Hundred Places, Nicaraguans and Costa Ricans fight over who invented Gallo Pinto, or ‘spotted rooster,’ another melange of black or red beans and rice. 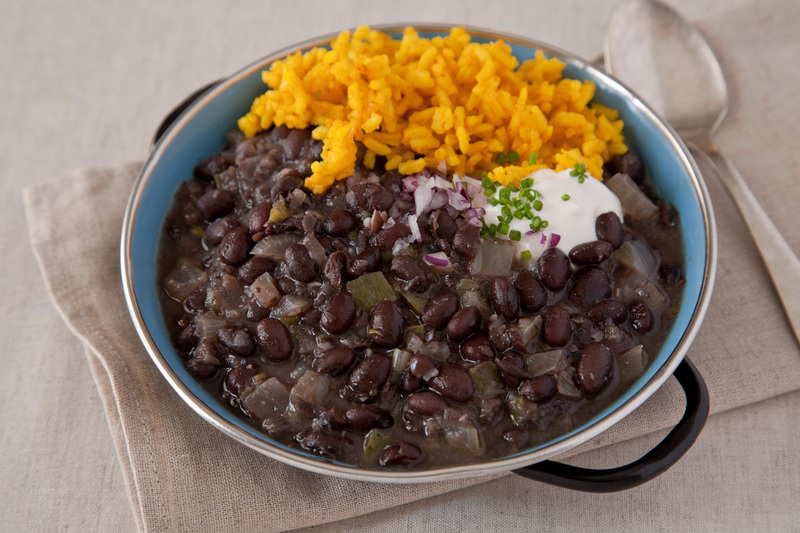 Caribbean Rice & Beans (often called Caribbean Rice & Peas) is a popular Sunday lunch dish made with red kidney beans, rice, scotch bonnet peppers, and coconut milk. 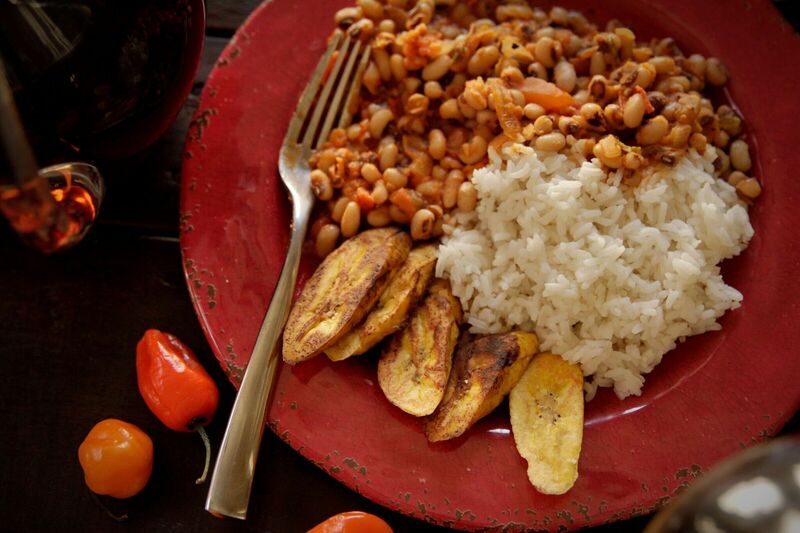 Hailing from Ghana, African Red-Red is a red stew made with blackeye peas and served with rice and plantains. 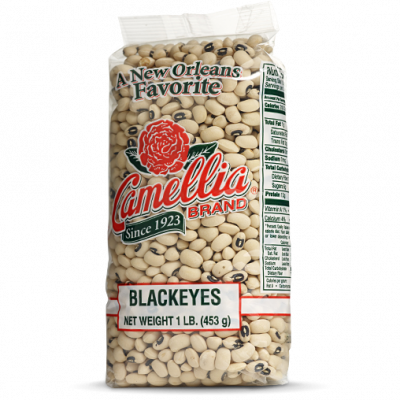 Blackeye peas were brought by or with enslaved West Africans to the Americas, first to the mid-Atlantic seaboard, likely alongside rice. 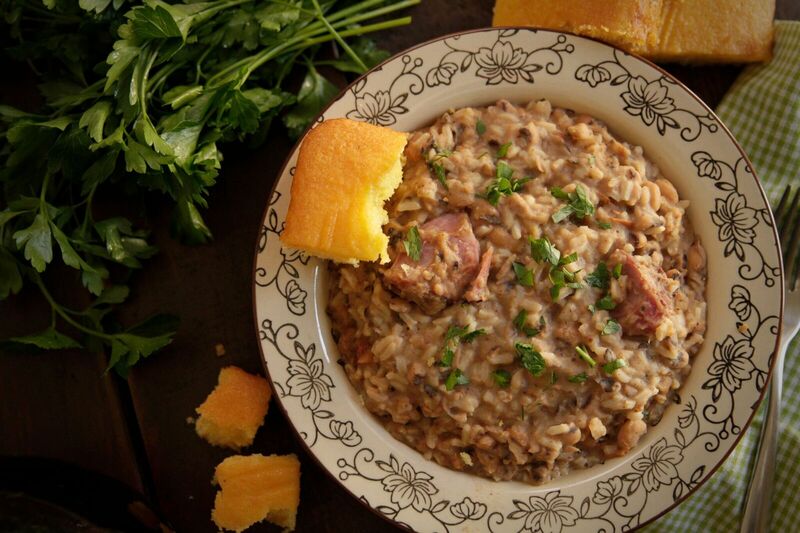 Some rice was grown in Louisiana as early as the 1840s, with some imported from the rice capital of South Carolina. Rice cultivation in the state finally took off in the 1870s, with a massive expansion occurring around 1900. 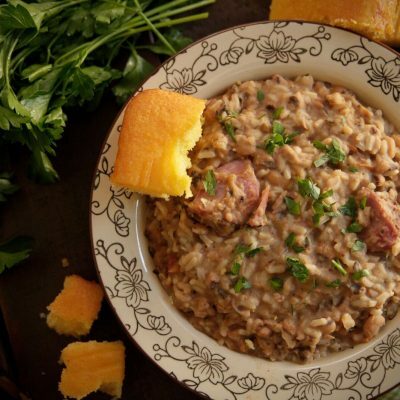 Today, Louisiana is ranked third in the production of rice in the United States, after Arkansas and California. 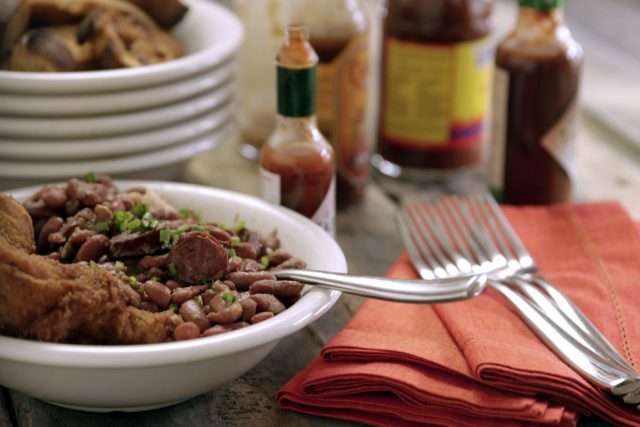 No one knows for sure why and how New Orleanians began to eat red beans and rice. 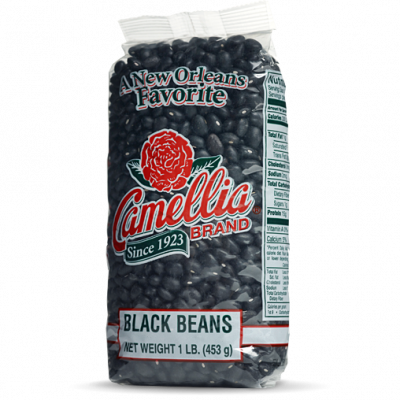 “Red beans are to New Orleans what the white bean is to Boston and the cowpea is to South Carolina,” reporters for the Federal Writers Project wrote in 1938. No definite answers exist in the historical record, though it probably travelled over with early nineteenth-century exiles from the French Caribbean. Rien Fertel is a Louisiana-born and based food writer, historian, and teacher. He grew up in his family’s chain of restaurants across the country. His work has appeared in Oxford American, Garden & Gun, Southern Living, Spirit, Saveur, The Local Palate, and many other publications. He holds a PhD in History and teaches in New Orleans.